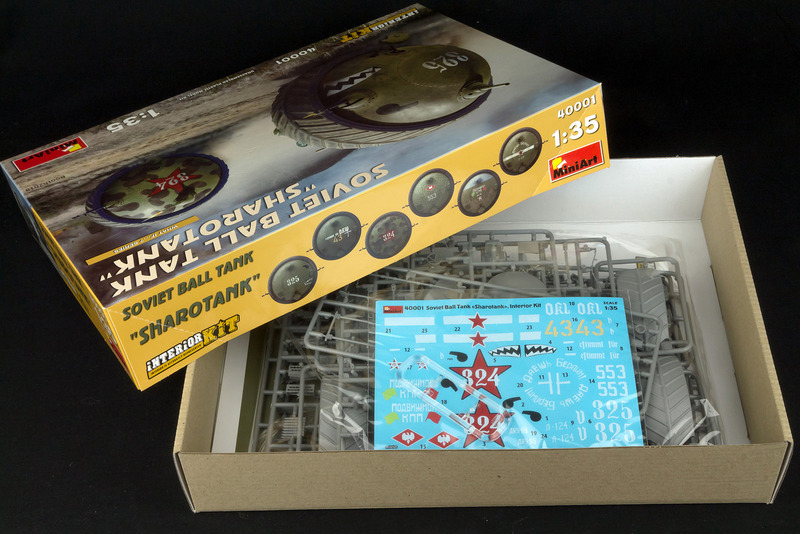 In today's review, Miniart want to show you their balls - their ball tanks that is. 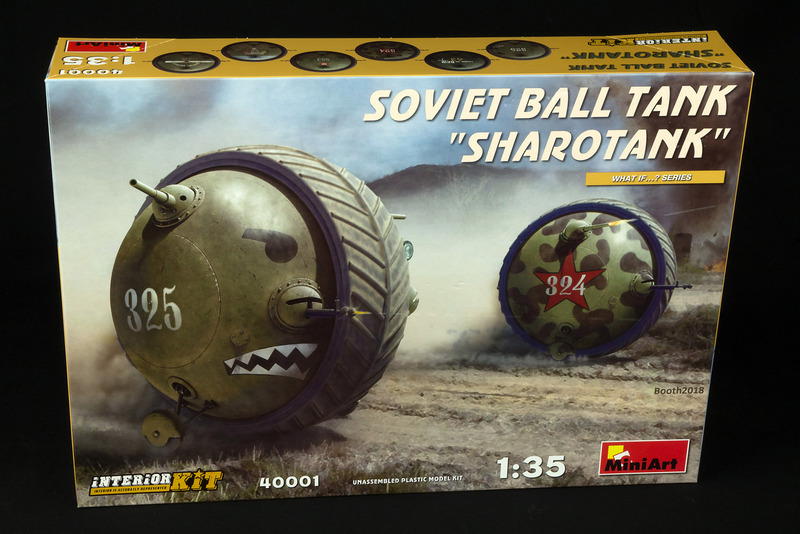 The Soviet Sharotank to be precise, which has the distinction of being the first release in their new “What If...?” series. 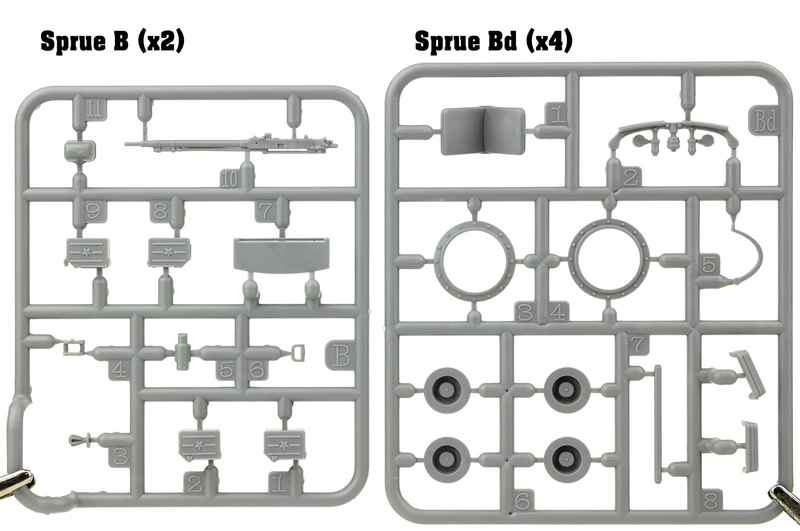 If you can't guess from the title, this range will feature speculative designs that may or may not have existed as plans, prototypes or in someone's wild dreams, now brought to (plastic) reality by Miniart. 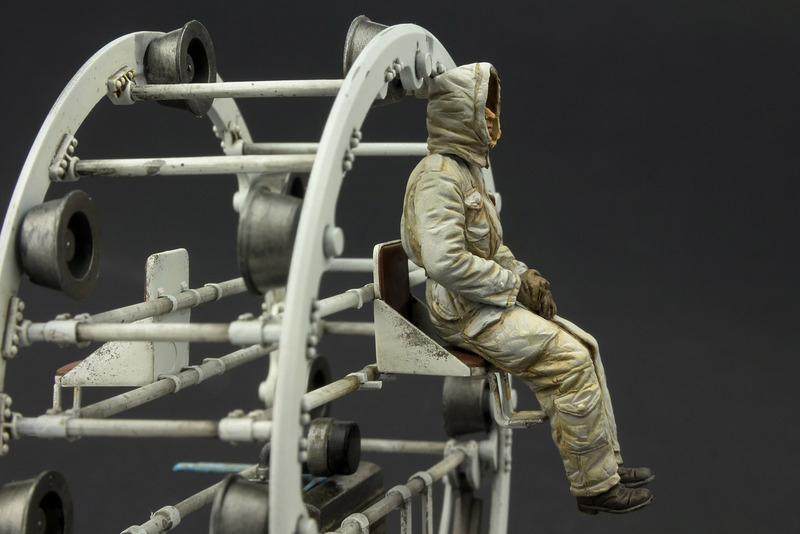 You may have expected Miniart launch this new series with a more conventional “Paper Panzer” design, but instead, they've produced something that looks to be straight from the “wild dreams” end of the spectrum. 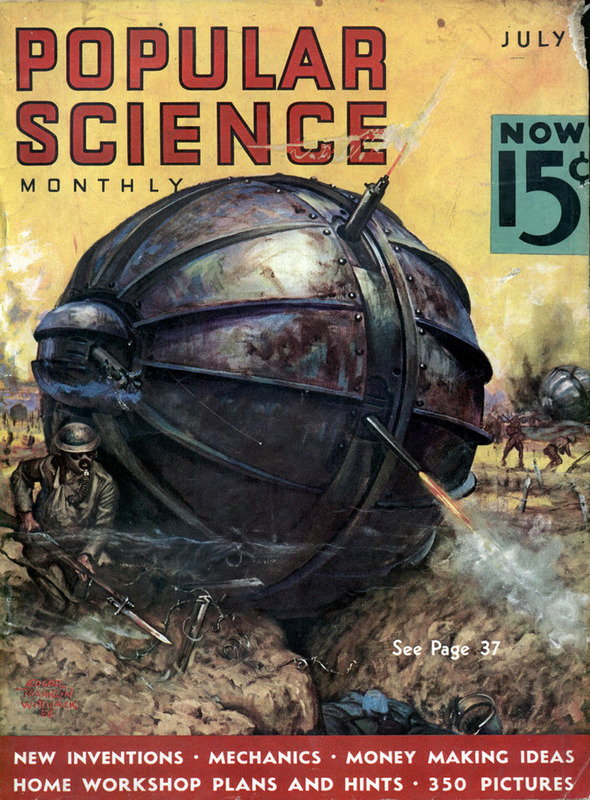 Surprisingly though, ball tanks are a concept that was explored by several countries as far back as World War I. The American inventor A.J. 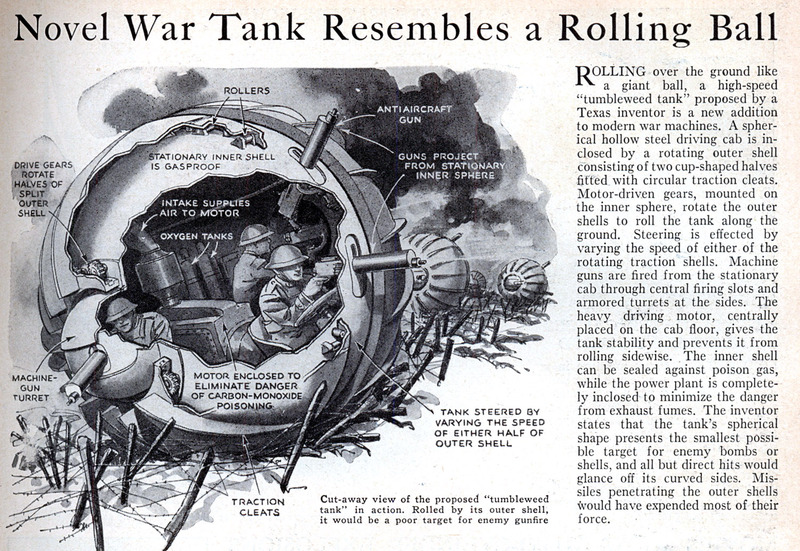 Richardson proposed the “Tumbleweed Tank” which featured a fixed inner sphere with two rotating outer shells to propel the vehicle. 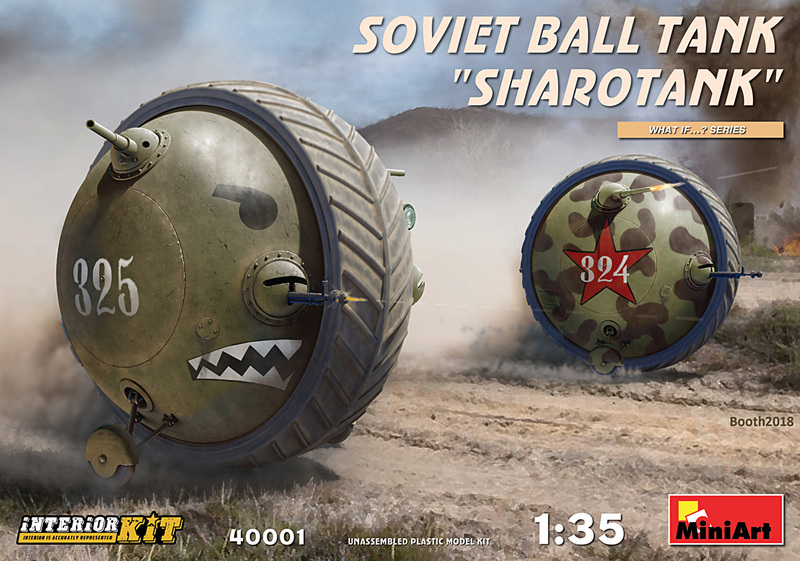 The Russians also reportedly studied the concept of a ball tank, although little hard information is available on the designs. 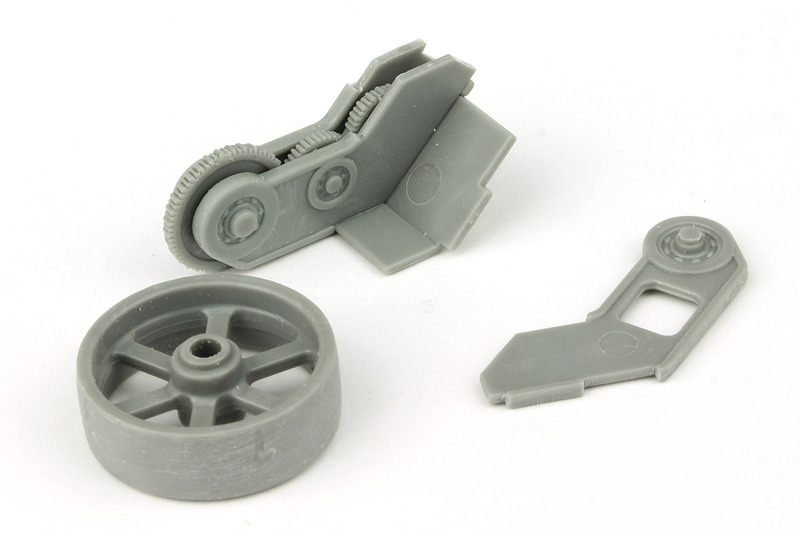 Plenty of speculative artwork exists that show how these machines may have looked, and some of this was clearly used by Miniart in creating their own design. 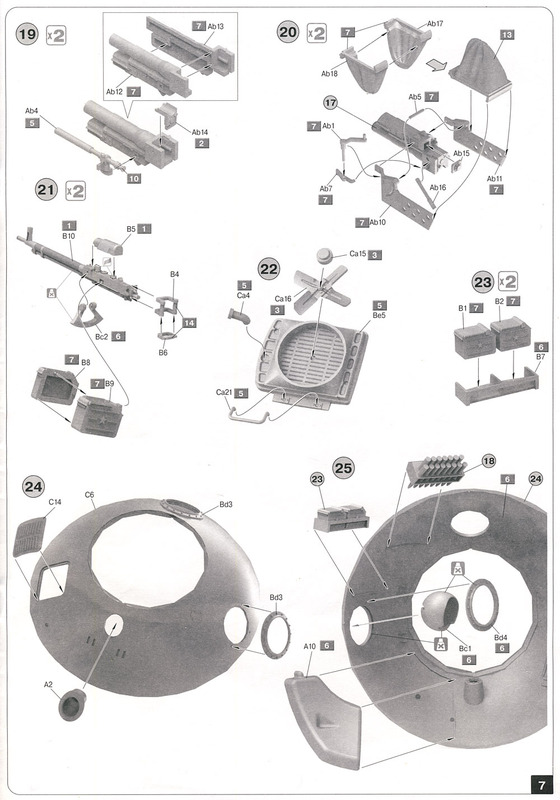 The Germans went one step further by actually building at least two different ball tank designs. The first of these, the Treffas-Wagon, was built near the end of World War I, then in the 1930's they created the Kugelpanzer. 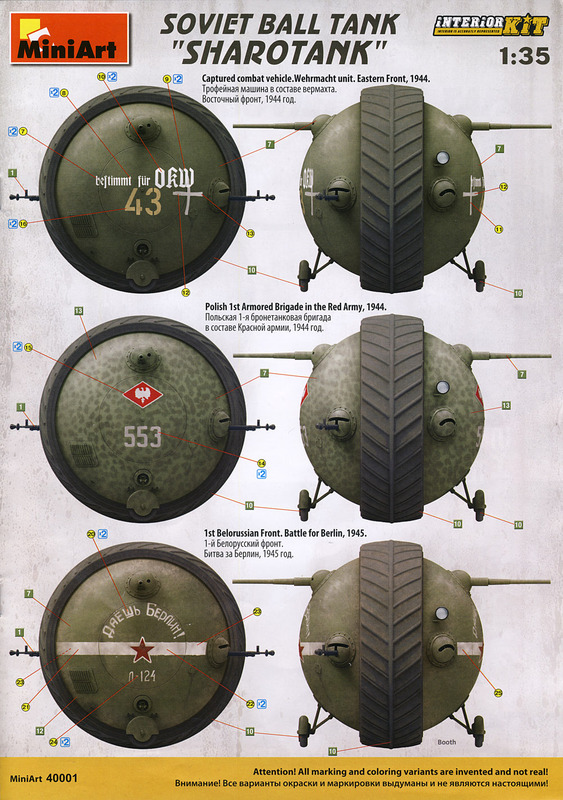 Built by the Krupp works, the Kugelpanzer a one-man vehicle with only light armour and nothing much in the way of offensive armament. 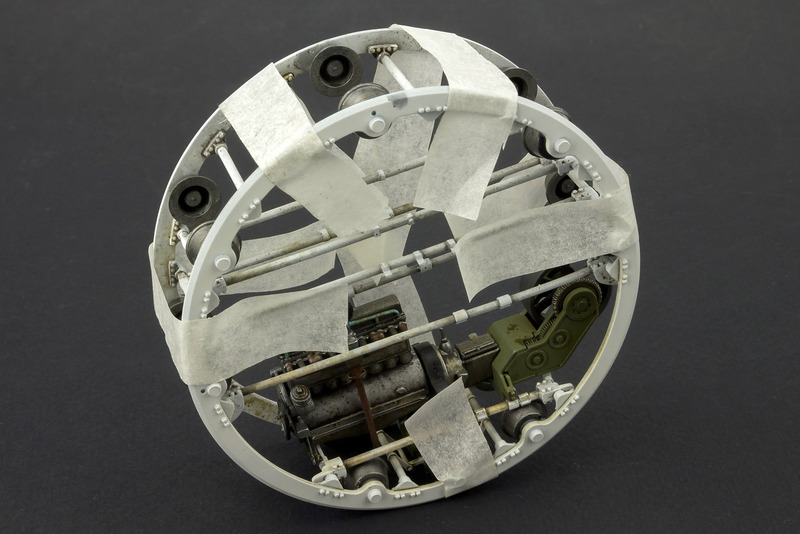 Its main purpose was thought to be as a reconnaissance vehicle, but little else is known for sure. 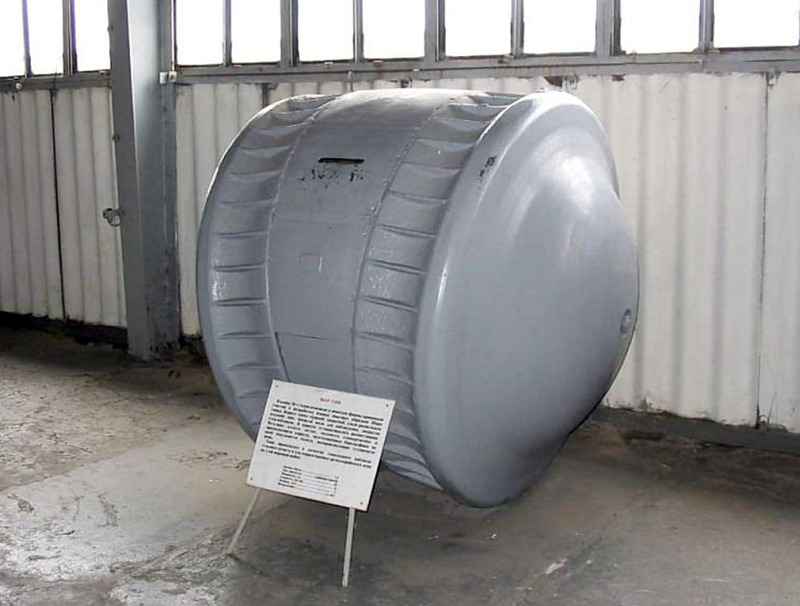 One example was captured by the Russians, possibly at the Kummersdorf proving grounds along with the Maus, and is now held at the Kubinka tank museum. Okay, back to the kit itself. 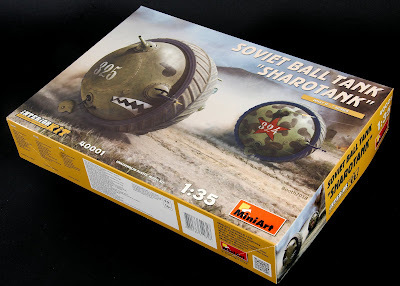 The model comes in a standard Miniart box with nice cover artwork showing a pair of Sharotanks in two of the included camo schemes. 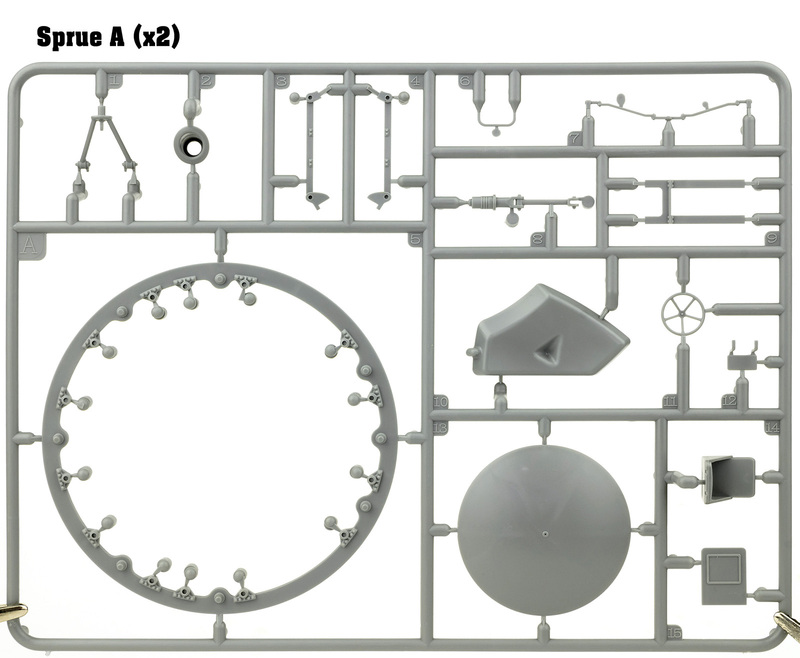 Inside you'll find 24 sprues, 23 in a mid-grey styrene and one small clear sprue for the light lenses. 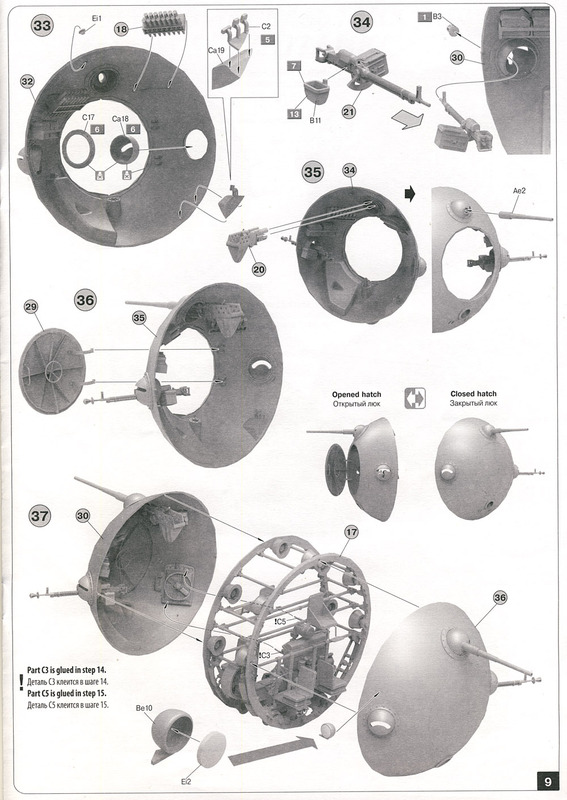 That may seem like a lot of sprues for a relatively small kit, but many of the sprues are also small with several duplicates for common parts. 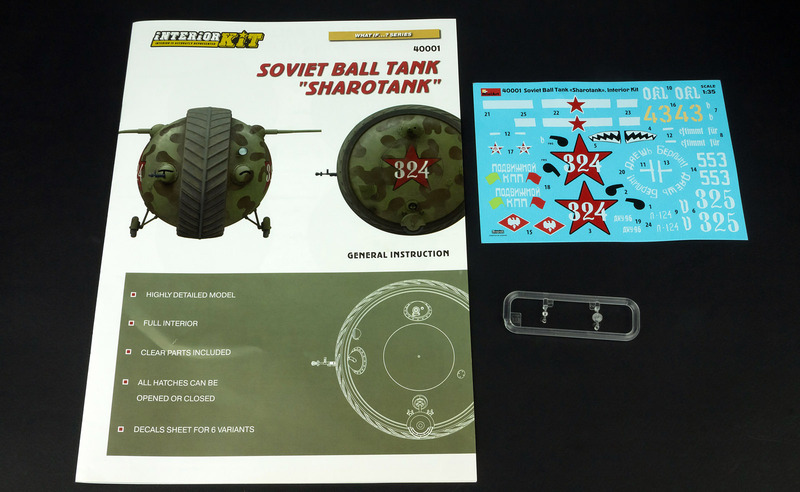 Finishing off the contents are the instruction manual and the decal sheet. There's no photo-etch included in this kit, and I can't really see anywhere that would benefit from it. 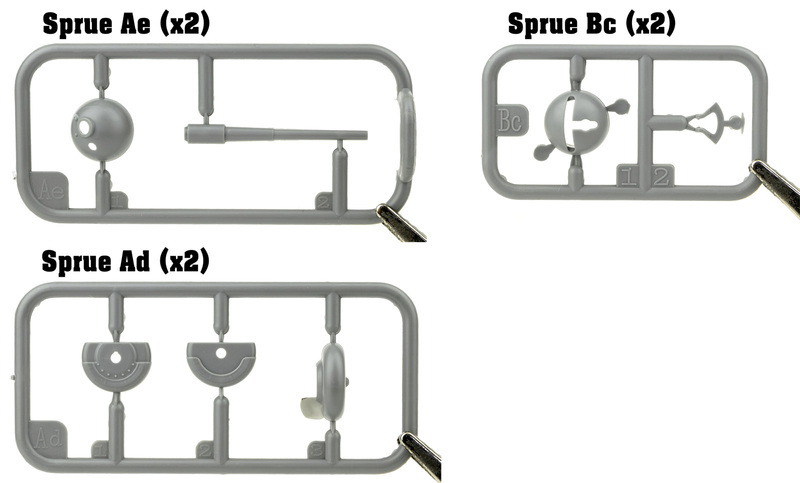 I'll give you a quick run through of the sprues before getting the build underway. There's nothing particularly unusual here, with nice crisp moulding and a good level of detail. 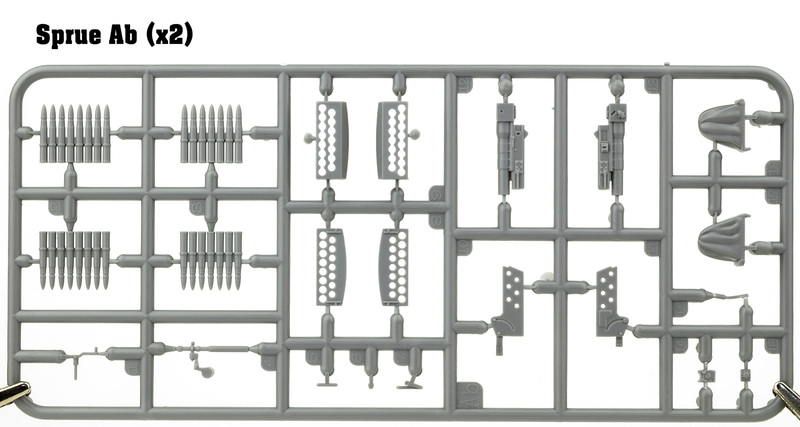 This is a full interior kit, so you'll find parts for the inner structure, engine and transmission, armament and ammo etc. 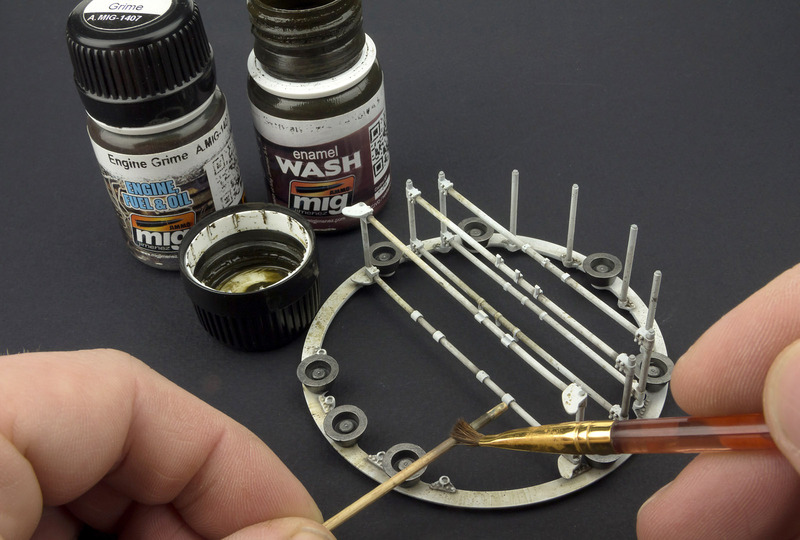 Many of the parts are quite small and delicate, which is a common trend with Miniart kits, so you'll need to be careful when removing and cleaning up parts. The instructions come as a stapled A4 booklet with a glossy colour cover that incorporates the painting guides on the cover's inner pages. 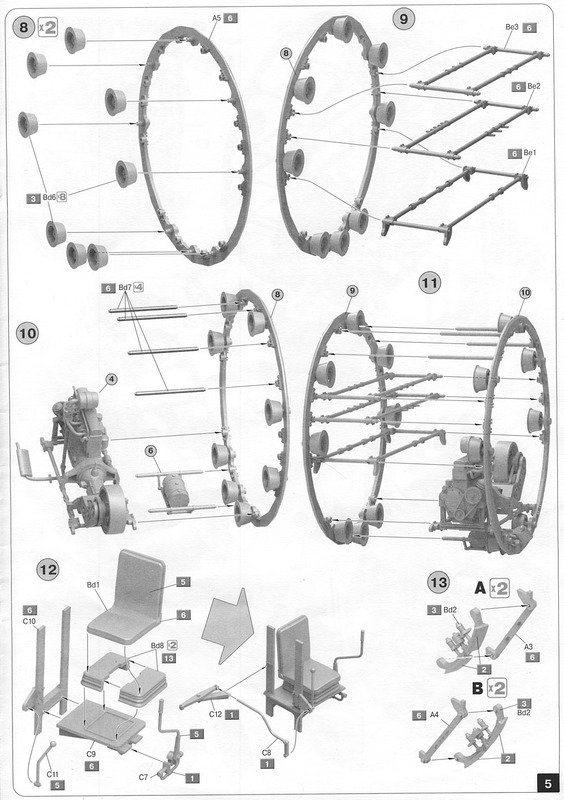 The remainder of the instructions are in black and white with 3D CAD style build steps, which I always find a little hard to follow. I much prefer simple line drawings which tend to be a lot clearer, but these ones are straight forward enough if you pay attention. The decals are produced by Decograph and look to be well printed, albeit a little basic and lacking in detail. The marking options are, of course, all invented, but they look very plausible all the same. 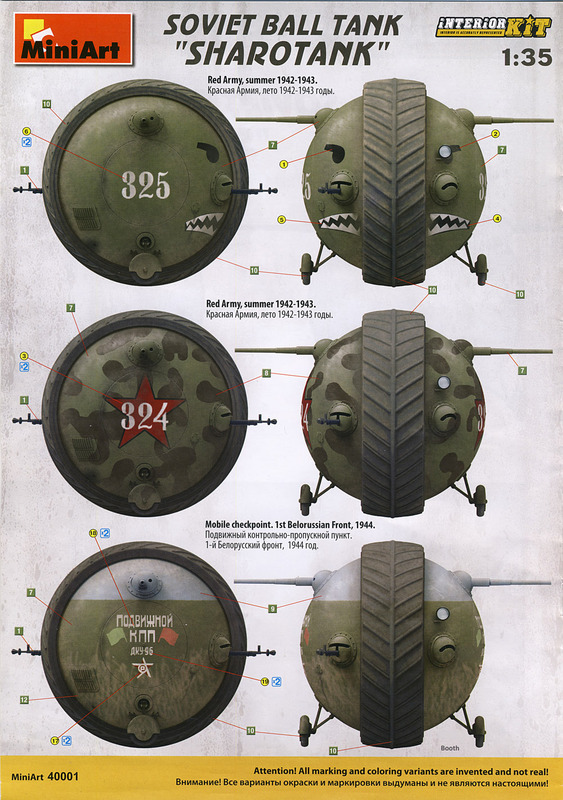 Of the six designs, four are for Russian vehicles, one for a Polish unit in the Red Army, and the final one is for the seemingly obligatory captured German machine. Paint codes are listed for Vallejo, Mr Color, Life Color, Tamiya, Testors, AK Real Color, Humbrol, Revell and Mission Models which is a pretty comprehensive list and should suit most modeller's paint preferences. Since I had the sprues out, I decided I'd make a start on the build which, predictably, begins with the interior. 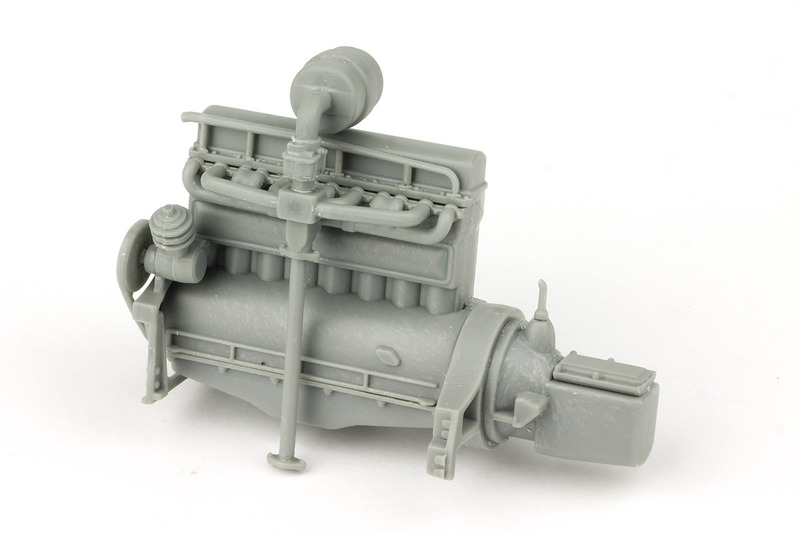 The first step is to get the engine and transmission together, and Miniart has provided a very nice and well detailed 8 cylinder motor. This went together with no problems, although some of the pipes have very small attachment points, and you'll need to hold the parts in position for a few moments until the cement starts to grab. 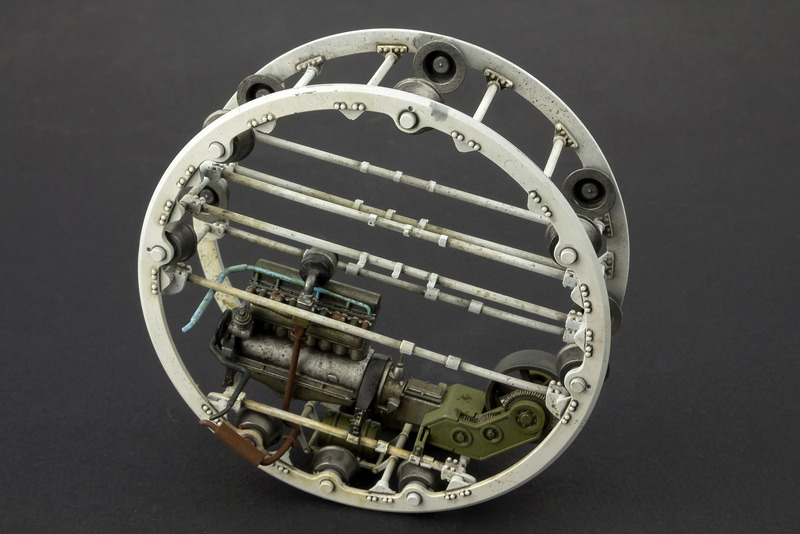 The transmission unit is a very simple assembly housing a reduction gear arrangement driving what looks like a regular tank road wheel. 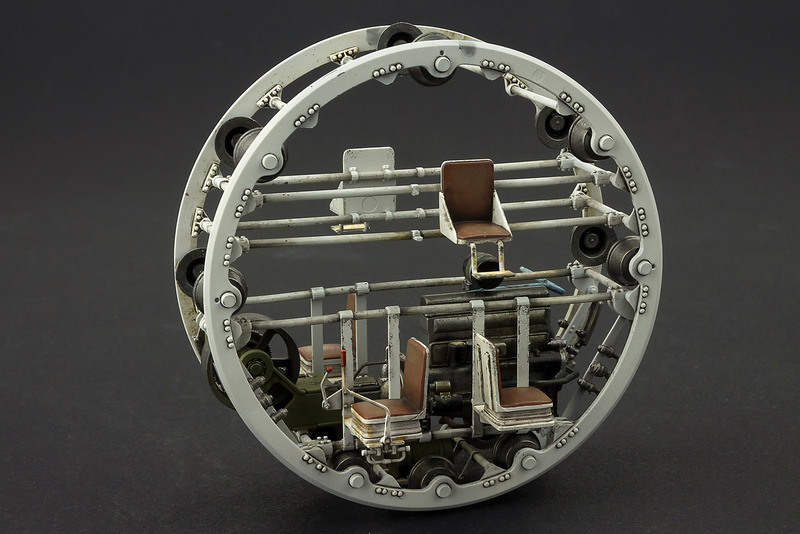 The idea presumably being the wheel would run against the inside of the continuous rubber track and thus drive the tank forward. I'm not entirely convinced that this would provide enough traction were this a real vehicle but, given the what if nature of the subject, it's perfectly acceptable. Before going any further, I decided to fully paint and weather the engine, as this won't be possible once it's installed within the main internal framework. 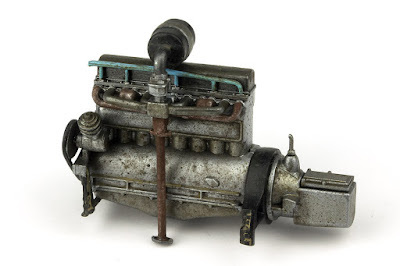 The engine was base coated with Alclad aluminium. 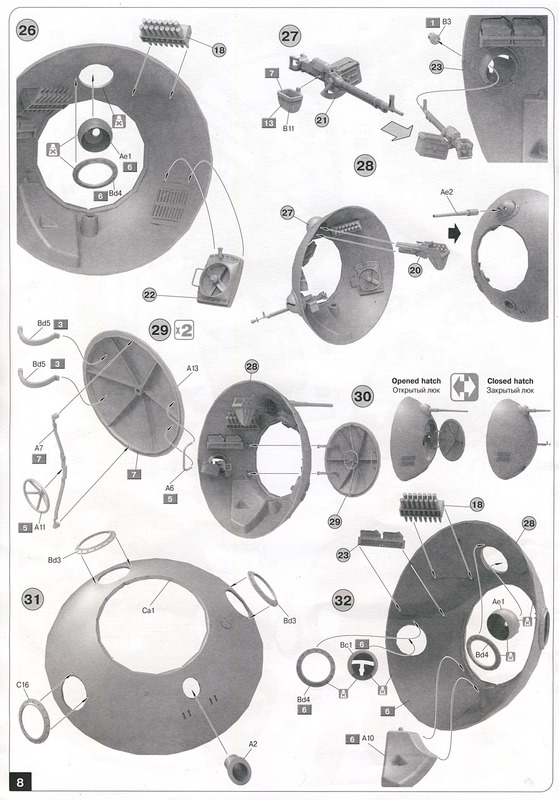 Then the various details picked out according to the references in the instructions. 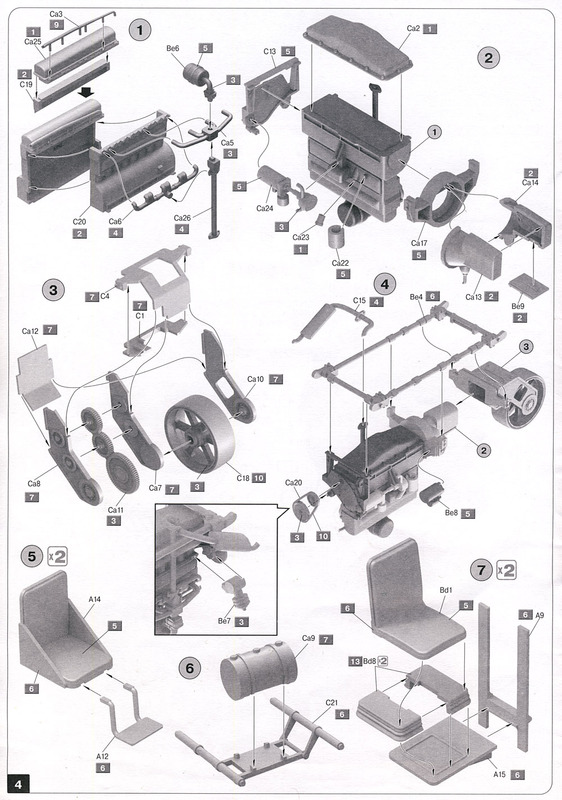 It's worth pointing out how good the instructions are in this regard, listing the colours for every internal detail, something that's not always the case with other manufacturers. The weathering on the engine was done with a variety of AMMO enamel washes, mainly A.Mig-1407 Engine Grime. This was applied both as a regular wash and also by splattering it over the engine block to leave an oil-splattered, heavily used appearance. There are still a few additional pipes to add, but they can only be attached once the engine is installed in the frame. With the engine taken care of, I moved on to the main inner frame. 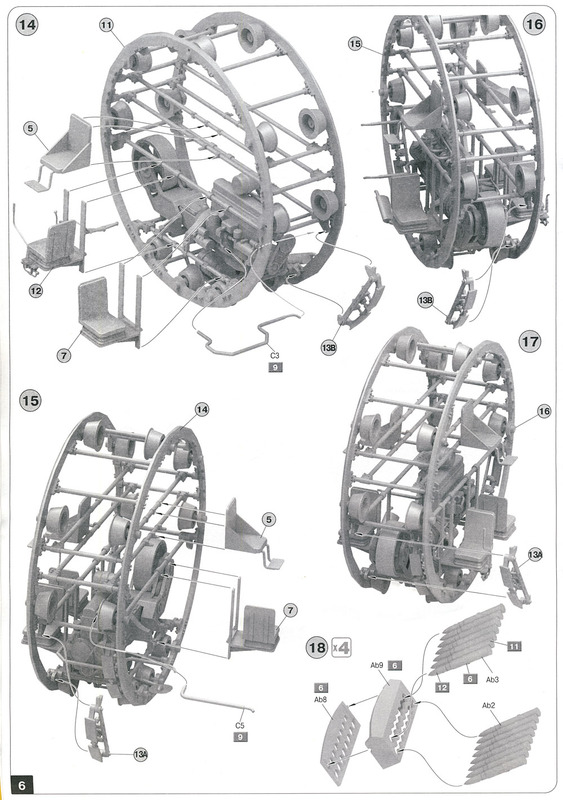 This is constructed from two large outer rings which are joined together by a series of bars and frame sections. Firstly though, a series of rollers need to be added to both rings. 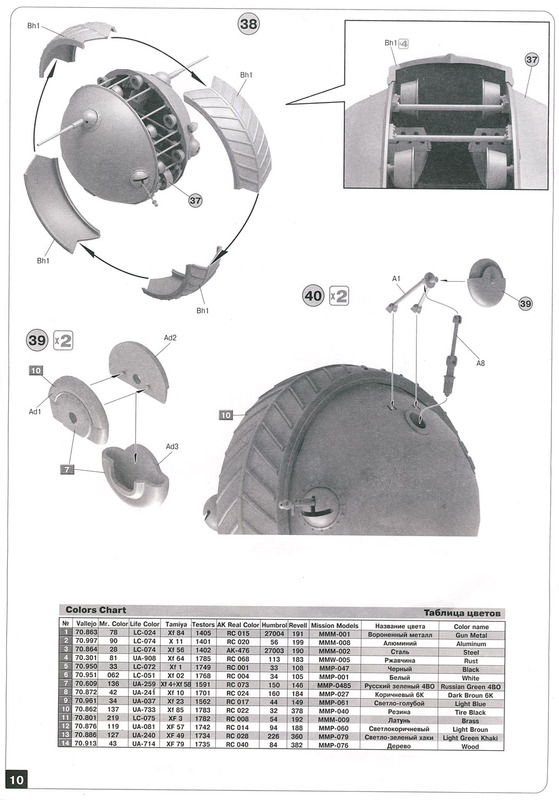 These effectively for the road wheels that the track will run around. 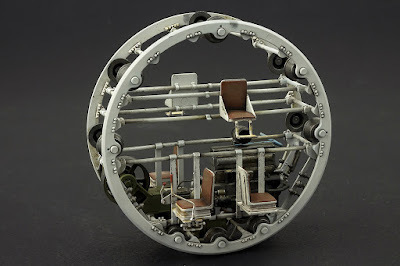 It's worth pointing out that neither these rollers or the drive wheel on the transmission actually touch the inner side of the track on the finished model. Fortunately, that fact will be almost impossible to see, even with the main hatches open. 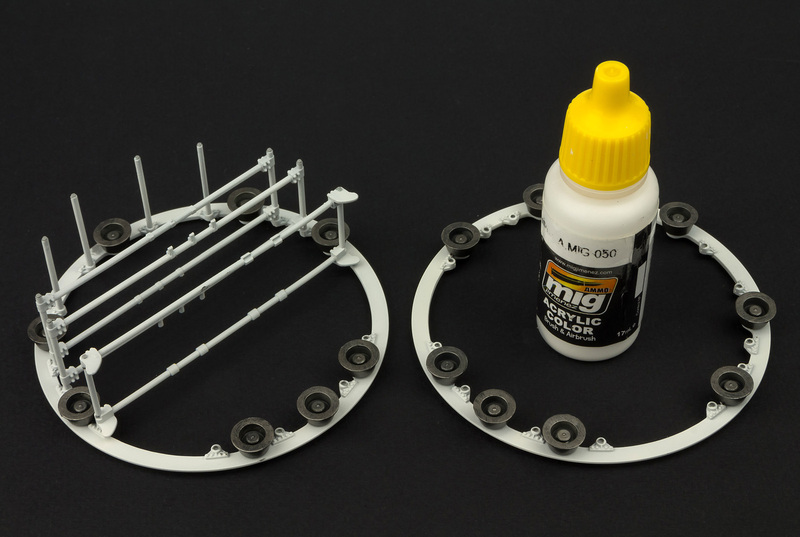 With the cross-frames added to one of the rings, both halves were painted with AMMO Matt White and the rollers picked out in a dark steel colour. It doesn't really matter which of the rings you add the cross-frames to, as both sides are the same and there's only a nominal front and back once the engine is added. Just make sure they're all at 90 degrees to the ring or the two sections won't align properly. 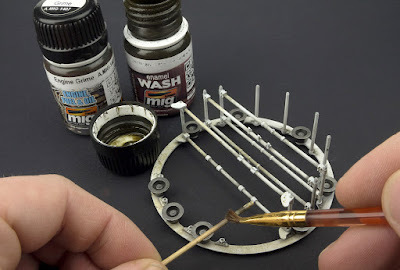 The rings then also received some weathering using the same washes used previously on the engine. Again, these were splattered on, particularly around the lower half where the engine will sit. 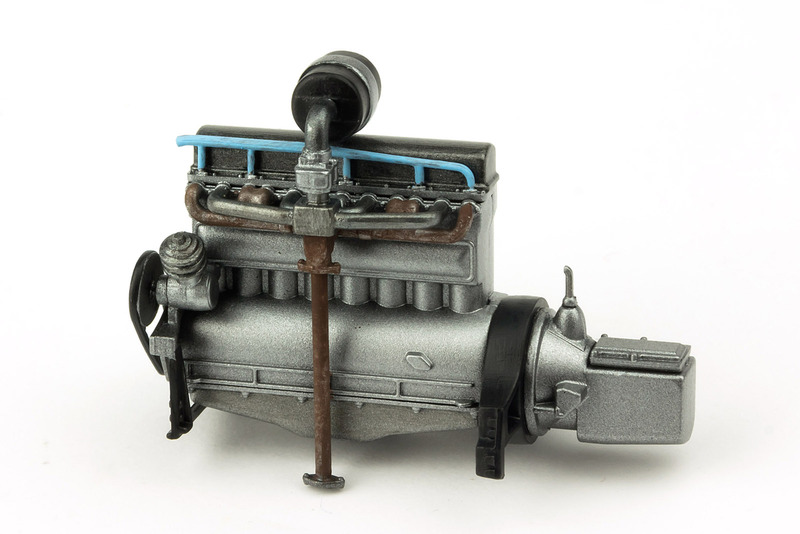 The engine itself mounts to its own cross-frame along with the transmission (not yet attached in the photo below). This then needs to be inserted between the two rings as they're attached to each other, which proved to be the fiddliest part of the build so far. Getting all the cross-pieces lined up and glued together took some time, and I found the easiest method was to start at one point on the ring and work my way round, gluing each cross bar and frame one at a time. Once two or three of the connection points were attached, that section was taped together to keep it in place before moving on to the next set of connections. Once everything was together and taped up, the whole assembly was left to fully dry overnight. The next day the tape was removed and the remaining pipes and the exhaust, which need to be threaded between the frames, were installed and painted, completing the construction of the main inner frame. The next step is to add the crew seats. 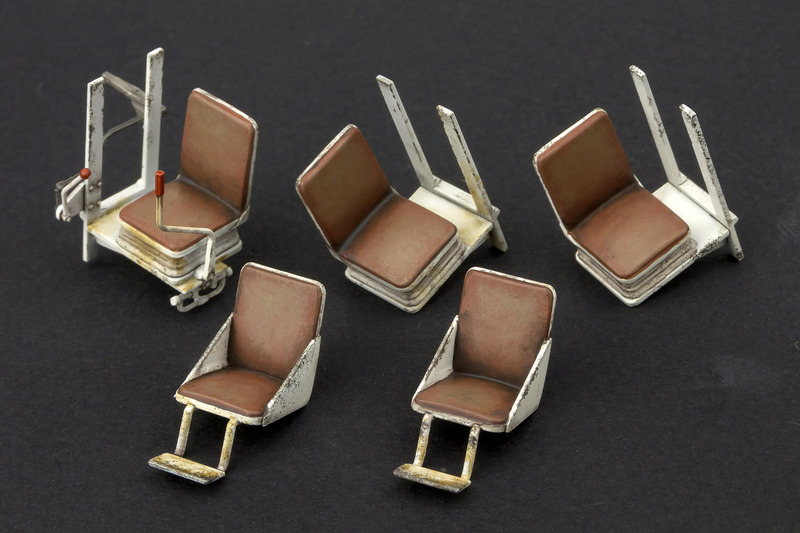 The crew of five are furnished with some fairly basic, but appropriate looking, seats. 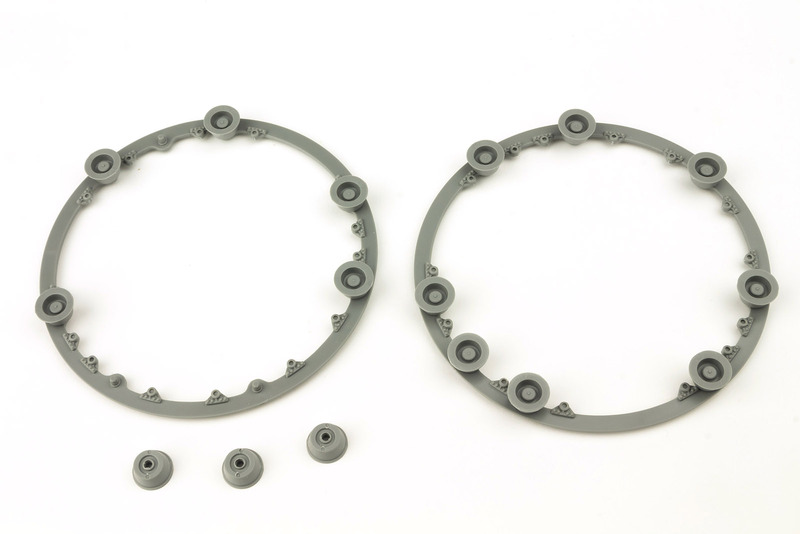 The driver's seat has some very delicate controls added, and great care needs to be taken when removing these fragile parts from the sprue and cleaning them up. I managed to snap one of the control linkages while doing this, but fortunately, the repair was hidden behind the seat frame. The seats were painted matt white again, with the cushions picked out in a brown leather colour. A little chipping was added to the frames to liven up the interior. The seat can then be mounted to the main frame. You can probably spot the rather visible ejector pin mark on the back of the seat on the far side of the frame. I didn't fill this, or the one on the opposite seat as I thought they'd be hidden by the framework. Clearly, this wasn't the case, so I'd advise you to fill these before painting the seats. This finished off the first part of the build, but it was at this point that a nagging doubt that had been in the back of my mind during the build became more pronounced. While constructing the seats I'd thought that they seemed rather small, but I'd dismissed the idea, thinking that the seats would probably need to be quite compact in a vehicle like this. Once they were in place though, they really did seem to be too small. To check, I borrowed a seated figure from an old build to see how well he'd fit. The figure was in fact from Miniart too, so should have been a perfect scale match. The result though was a little surprising, as can be seen in the photo below. The size discrepancy became even more apparent when I placed the figure in one of the upper seats. These have integrated foot rests but, as you can see, they look more like knee rests at this scale. 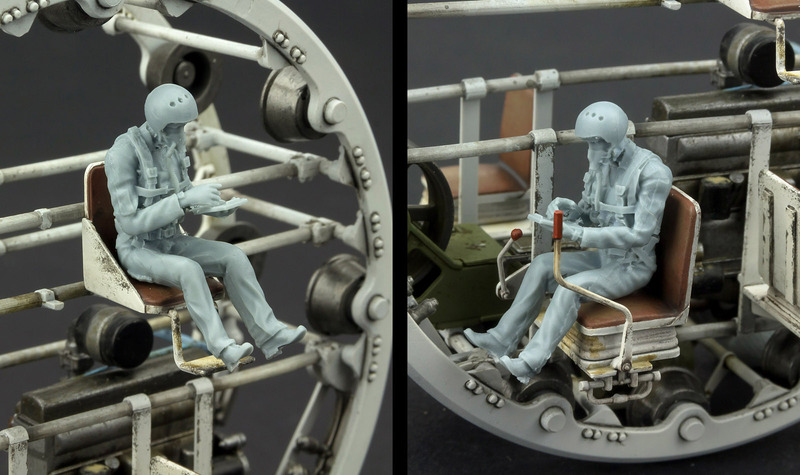 As it happened, I had a 1/48 resin pilot figure to hand, so I thought I'd see if he fared any better in the seats. As you can see, he fitted much better than the 1/35 figure and looked far more in scale, at least compared to the seats. I've got to say, this was a little disappointing, especially given how much thought Miniart seem to have put into the design as a whole. 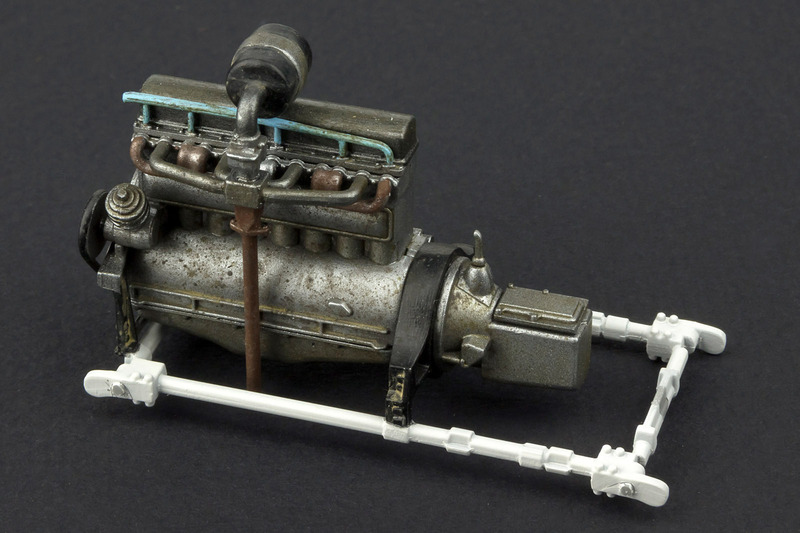 I suppose, given the semi-fantasy nature of the subject, you could just say that it's 1/48, but the problem here is that the other internal elements, like the engine guns and ammo, are all clearly 1/35. 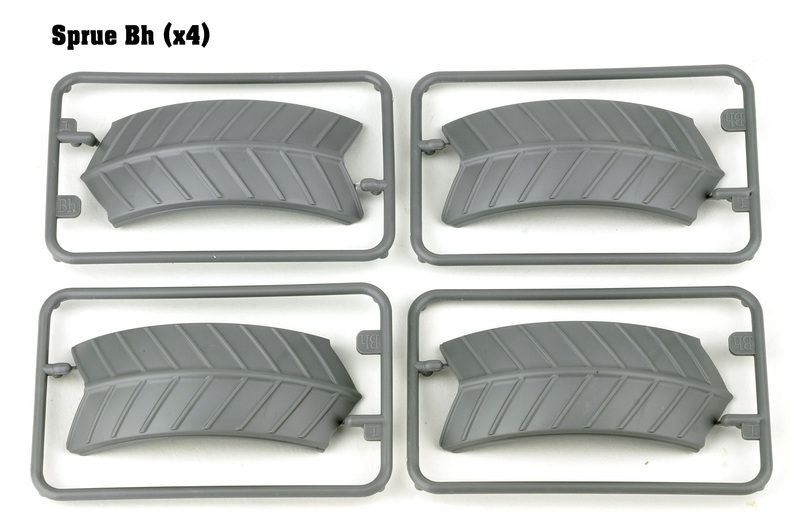 In truth, you'd never get five 1/35 figures inside the hull, regardless of the seats. A more realistic set up would be one crew member on each side, and even then, they'd be pretty cramped. 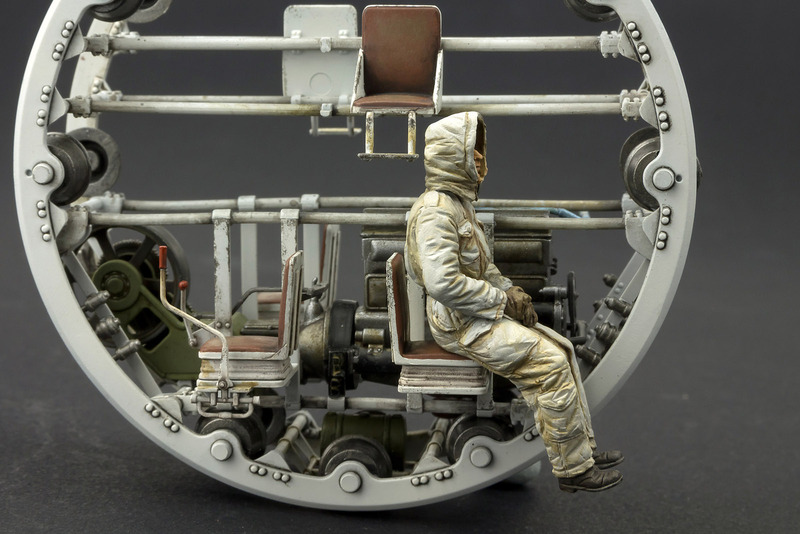 If you went that route, you need to leave out the kit seats and scratch build your own to a larger size. All that being said, that's been the only negative so far with this build, and the rest of the kit seems very well thought out. Although I'm intending to add a figure or two to the finished build, they'll be outside the vehicle on a base, so hopefully, the undersized seats won't be all that apparent, even with the hatch open. I'll be dealing with that and the rest of the build in the next part, so stay tuned for that.